Please feel free call us 24/7 regarding our services. 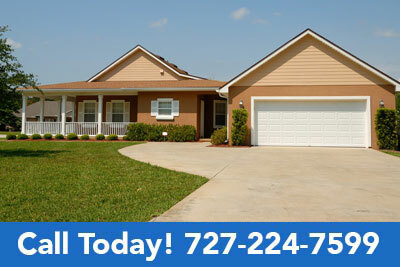 Are you looking for a company capable of handling your garage door repairs and installations in Land O’ Lakes, FL? We do not take garage door matters lightly because faulty garage doors compromise the safety of your home and family. BP Garage Doors has been providing full-scale garage door repair and installation services for over 20 years. Over those years, we have sharpened our expertise, garnered even more experience and, satisfied 1000’s of customers. Are you looking to replace your garage door after having it serve you for so many years? Did you arrive late night after a hectic day at work and discovered that you could not open your garage door? Or maybe you are looking to upgrade, so that you can bump up the resale value of your property? Whatever the case, we are committed to serving you with our personal touch of professionalism. BP Garage Doors is a licensed and local company operating in Land O’Lakes, FL. We can afford to charge lower prices than the rest of the competition because we spend less on travel time and fuel costs. We do not subcontract our projects to independent contractors because our main goal is to ensure that our customers are happy and satisfied. This responsibility is too important to be handed out to other people. We are also looking to build an iron-clad reputation in the community and deeply appreciate the opportunity to help local residents with their garage door problems. We install garage doors from only trusted manufacturers in the industry. At BP Garage Doors, we repair everything from broken cables to program remotes for garage doors. We also provide hurricane reinforcement garage door services. No one knows when a garage door will stop working. This is the reason why we offer emergency services 24 hours a day, every day of the week. We provide premium services in the Land O’Lakes area, whenever you want it. We want you to call us for all your garage door issues. Be rest assured that we will be there when you call. We offer affordable same day services at no extra charge for weekend and emergency calls. 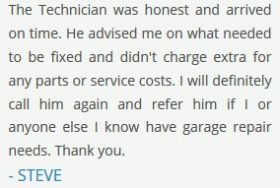 You definitely save time and money when you allow us attend to your garage door headaches. Give us a call and our friendly professionals will be on your property in a matter of minutes. Our rapid response time and same day service allows you get back to your day quickly. At BP Garage Doors, we do it all: replace openers, broken springs, bent tracks, garage door overhauls, and more. 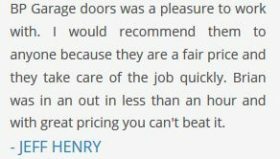 You get quality and matchless value when you saddle us with your garage door problems. All customers get a 25 point safety inspection, so that they can rest easy knowing that their garage doors have been thoroughly fixed. Call us at 727-224-7599 and we will discuss your needs. Schedule an appointment and come to you when it is most convenient. Website solution provided by The DRI.